Are you thinking about buying a good Chinese dictionary? Do not look any further, because Pleco Software is the essential dictionary to anyone studying Chinese. The basic software is free and good for anyone on beginner or intermediate level. 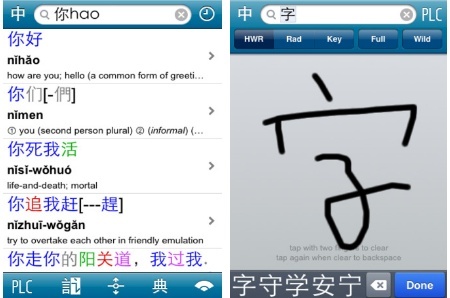 For the more advanced learners, you can purchase add-ons – from ABC Chinese-English dictionary to optical character recognizer. You can use Pleco on your Iphone, Ipod, Ipad or Android/Windows phones. Instead of carrying around three different dictionaries in my bag, I now have them all in my pocket.